Happy New Year world! 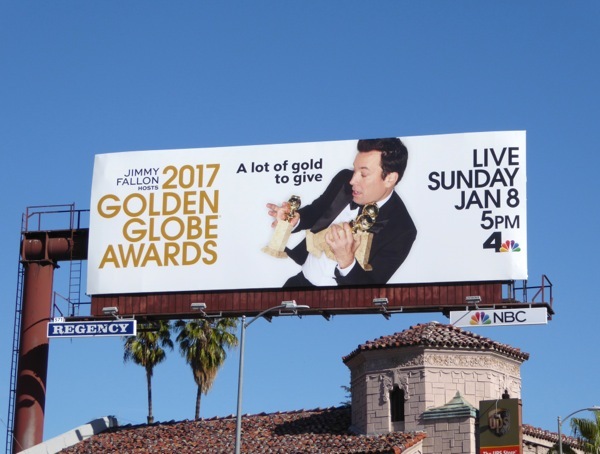 This year the tricky task of juggling the prestigious Golden Globes Awards ceremony goes to Jimmy Fallon. 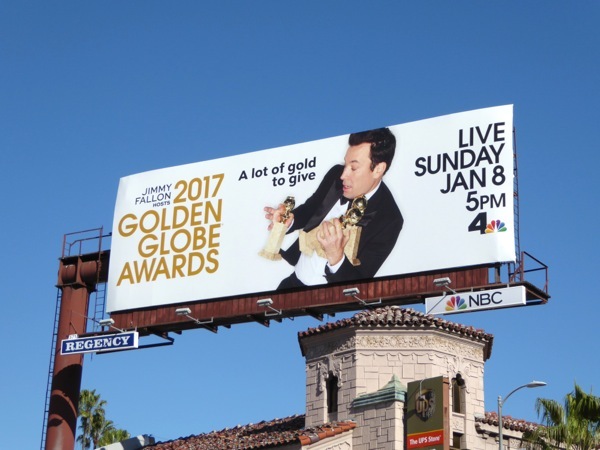 Can the late-night talk show host tackle amusing not only a room full of television and cinema's finest, but also the folks at home, like Ricky Gervais, Tina Fey and Amy Poehler have done in recent years. 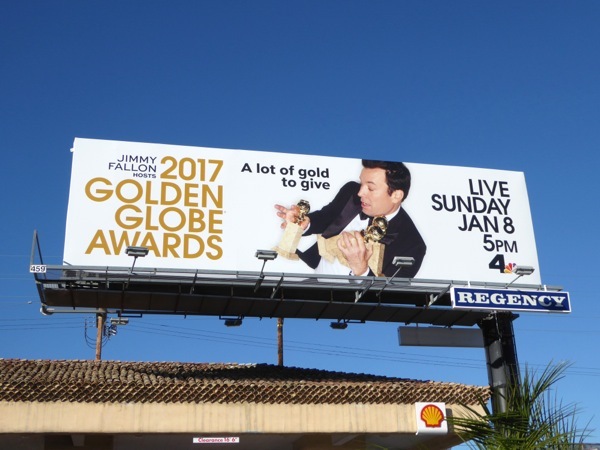 And whoever wins or loses the coveted golden awards this year, the real winners will be those in the entertainment industry who avoid getting roasted from the stage as is the time honoured tradition. 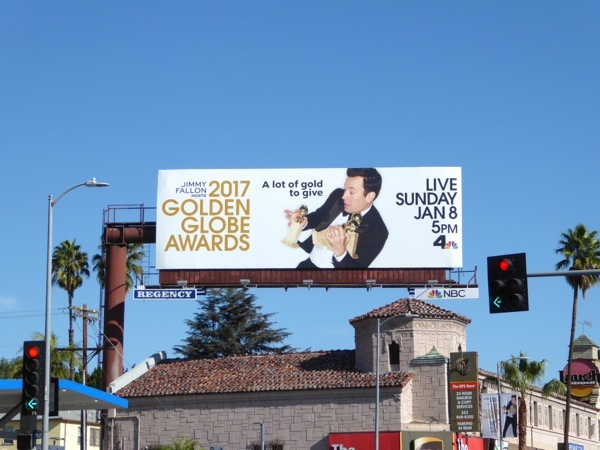 These 2017 Golden Globes NBC billboards were snapped along Sunset Boulevard and Fairfax Avenue on December 17, 2016. 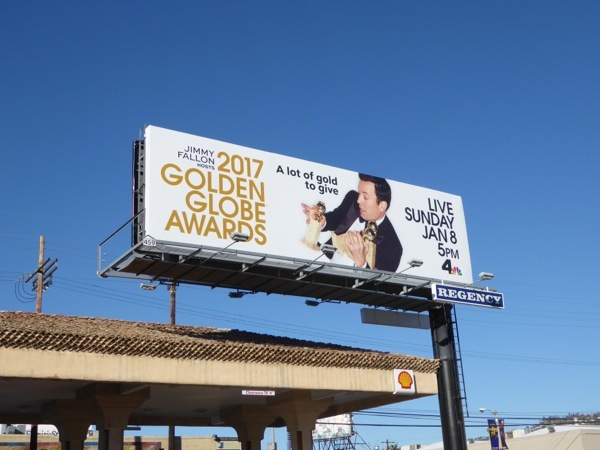 If you love the Hollywood Foreign Press Association's annual film and TV awards ceremony, make sure you also check out these previous Golden Globe Awards billboards from years past. 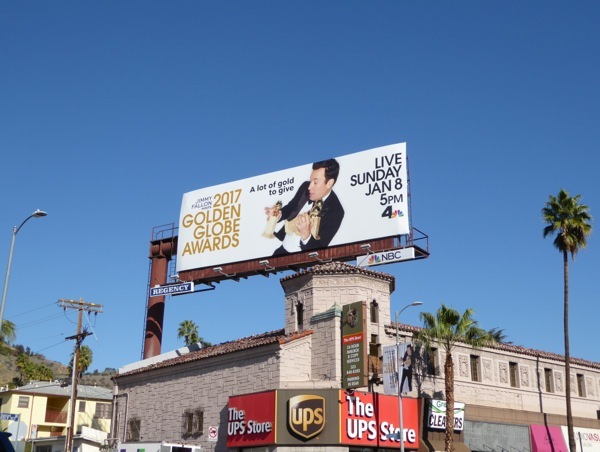 Meanwhile fans of Jimmy Fallon can also check him out in these billboards for The Tonight Show. 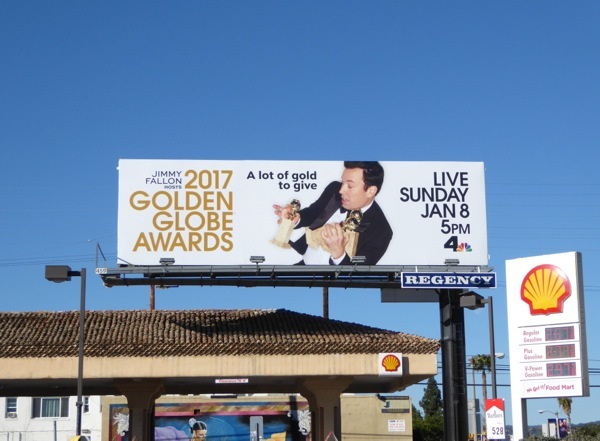 Hopefully we'll all have fun with Jimmy Fallon's hosting duties next Sunday, and fingers crossed he makes an impression as another late-night Jimmy, of the Kimmel variety, will be presiding over the Oscars at the end of February, so no pressure.